Derrick, Bird , Krauss Maffei, Baker Perkins, Dorr Oliver, APV, Alfa Laval, Heinkel, Western Sates, Tolhurst, Hutchison Hayes, Merco. & MANY MORE. We are capable of providing a very comprehensive list of repairs and replacement parts for Large steam turbines. Hard Chrome Solutions has been instrumental in implementing many of the repair procedures and replacement parts that have been proven to shorten repair schedules and enable nozzle, diaphragm and rotating components to perform reliably and efficiently over today's longer operating cycles. We proudly provide rapid, on-site World-Class repair service by our reliable German trained engineering and technical support staff. When you call us with a problem, we treat it as an emergency that receives the very highest priority: we expedite repair in order to get your equipment back online ASAP, and then we offer a variety of maintenance programs to keep your equipment operating at peak efficiency 24/7/365. 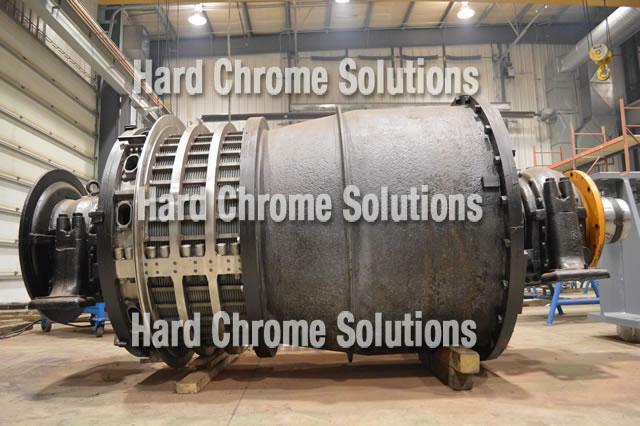 Hard Chrome Solutions offers complete centrifuge repair, rebuilding, and reconditioning for the oil, industrial, agricultural, and waste water management industries. Not only can we repair all working parts of any horizontal or vertical centrifuge, our engineers employ new technology which enables us to restore your centrifuge to OEM specifications (or better) or tailor the equipment to meet your specific requirements. When we rebuild or repair your centrifuge, you can expect it to perform as good as (if not better) than the day it was delivered new. Our goal is to extend the life of your assets and minimize any potential down time. Our Centrifuge Repair Engineers Are Thorough, Fast, and Experienced. From our service engineers to our in-house welding and fabrication personnel, every step of our operation brings decades of experience in centrifuge repair. Our centrifuge repair facilities can take on any and all repair projects, big or small, whether it came from our shop or elsewhere. Hard Chrome Solutions will assist with the upgrading and redesign of used equipment.  We promise we'll do everything possible to make sure your operation is up and running as quickly as possible while maintaining a high level of precision, quality, and service. We repair and maintain all makes and models of industrial centrifuges, including Sharples, Alpha Laval, Bird, Westphalia, Heinkel, Ketema, Tolhurst, ATM, Humboldt, De Laval, Hutchison Hayes, Rouselete Robatel, Krauss-Maffe and all others. You've just had your centrifuge quickly and reliably repaired, and the crisis has passed now that you're back online. Who can you count on as a trusted partner for your critical centrifuge maintenance It is crucial to perform regular maintenance of your centrifuge, including regular cleaning, inspection and lubricating of the centrifuge rotor and accessories. Our centrifuge inspection procedures ensure proper operation and extended equipment life, but to also provide for optimum performance and consistent operation of your centrifuge. Not only will these procedures help to reduce operational noise, but they can prevent vibrations and eliminate potential imbalance errors. Our world class, German trained engineering and technical support staff proudly delivers timely, on-site repair service you can count on. When you call us with a problem, it receives the very highest priority. 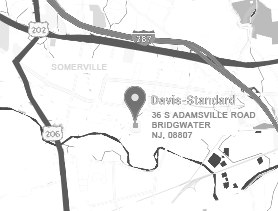 We expedite repairs in order to get your equipment back online ASAP. Our experienced engineers and technicians focus on performance optimization to ensure peak performance of your centrifuge by meeting or exceeding the original manufacturer's specifications. Our goal is to reduce extend the life of your centrifuge, minimizing future rebuilding and operating costs. All fully automatic machines are designed to operate efficiently and economically, and available in standard carbon steel or stainless steel construction. Centrifugal forces can reach up to 7,500 times gravity. Hard Chrome Solutions provides efficiency and innovation in liquid-liquid and liquid-solid centrifuge separation, solids dewatering, and centrifuge liquid filtration and fluid clarification systems technology with more performance enhancing design features than any other manufacturer. Our vertical manual cleaning centrifuges handle tough process demands, heavy filtration applications and liquid-solid separations in which the specific gravity of suspended solids are greater than that of the liquid. Hard Chrome Solutions manufactures specialized centrifuges geared toward liquid-liquid and liquid-solid centrifuge separation, solids dewatering, and centrifuge liquid filtration and fluid clarification. Each machine is expertly handcrafted by our experienced technical engineers, can be customized and guarantees a solid, durable and flexible machine for various industrial applications. What is a Decanter Centrifuge? The sediment formed by the solid particles is continuously removed by the screw conveyor, which rotates at a different speed than the bowl. As a result, the solids are gradually "ploughed" out of the pond and up the conical "beach". The centrifugal force compacts the solids and expels the surplus liquid. The dried solids then discharge from the bowl. The clarified liquid phase or phases overflow the dam plates situated at the opposite end of the bowl. Hard Chrome Solutions offers a wide variety of horizontal continuous cleaning decanter centrifuges which provide effective, low-maintenance solutions to continuous liquid clarifying and / or solids dewatering with advanced process and mechanical performance features. Hard Chrome Solutions offers a wide range of manual clean and self-cleaning biodiesel centrifuges process capacities ranging from 1 to 30-gpm. Hard Chrome Solutions offers pre-engineered centrifuges for liquid-liquid and liquid-solid centrifuge separation, solids dewatering, and centrifuge liquid filtration and fluid clarification. Pre-engineered centrifuge systems are designed, developed and constructed with specific system technology for unique applications and industries. Hard Chrome Solutions also manufactures automatic self-monitoring batch-sequence wastewater treatment systems to treat many types of industrial wastewater applications using a wide variety of chemical treatment programs. Automatic self-monitoring batch sequence wastewater treatment systems can be designed and constructed to treat wastewater volumes from 500 to 50,000 GPD depending on the chemical program and percentage of solids. We manufacture centrifuges for liquid / solid separation, and we design, develop, and construct specific system technology for many different applications and industries. Systems include the centrifuge technology paired with integral process tanks, transfer pumps, mounting platforms, piping and instruments, plus complete control and automation solutions. Both standard and fully customized systems are designed and built to suit each customer's specific application and facility requirements. All models and systems built at Hard Chrome Solutions can be customized or modified into a turn-key operation. Hard Chrome Solutions manufactures a wide range of custom designed centrifuges for liquid / solid separation. Our renowned engineers work closely with our customers to design, develop, and construct specific system technologies for numerous applications and industries. Our centrifuge systems include centrifuge technology paired with integral process tanks, transfer pumps, mounting platforms, piping and instruments, plus complete control and automation solutions. Both standard and fully customized systems are designed and built to suit each customer's specific application and facility requirements. The centrifuge is an effective piece of equipment for dewatering solids skimmed off most Dissolved Air Flotation (DAF) wastewater systems. The skimmed solids are typically wet, sloppy, and expensive to handle. Hard Chrome Solutions offers a wide range of liquid-liquid and liquid-solid centrifuge separation, solids dewatering, and centrifuge liquid filtration and fluid clarification systems and process options to optimize the advantages of the DAF Sludge Dewatering System. Water wash paint booths face constant sludge recovery problems, especially when production volumes increase. In high volume environments, the equipment used to recover sludge from paint booths simply can't keep up with production volume. Centrifuge sludge-recovery systems facilitate separation while dramatically reducing labor costs, water consumption and chemical use. Efficiently moving paint solids to the point of extraction for separation and removal requires specialized equipment, knowledge and experience. Hard Chrome Solutions engineers and technical support staff have the specialized expertise to design and install a complete paint sludge recovery system for new and existing paint installations. Centrifugal separation equipment can be designed to fit any paint wastewater treatment applications, from a single water wash booth to larger operations with multiple booth bays. By correctly integrating booth design with the paint sludge system it is possible to enhance booth efficiency and drastically reduce downtime and maintenance. Hard Chrome Solutions designs modular dehydration and water clarifying systems for efficient settling and collection of suspended solids for the glass, stone, and other brittle material fabrication industries. Our engineers design and build settling tanks that have two specially baffled cone bottom tanks of specific volume with a drain manifold, valves and bags that hang to collect concentrated slurry, which are easily removed for replacement and disposal. Hard Chrome Solutions specializes in liquid-liquid and liquid-solid centrifuge separation technology, solids dewatering, centrifuge liquid filtration and fluid clarification systems technology. Our team of experts is made up of experienced engineers and industrial professionals focused on designing and building American-made centrifuges with more advanced technology and greater processing performances than ever before. Hard Chrome Solutions is focused on innovative solutions that optimize performance for worldwide industrial companies, and is widely recognized for our solutions-driven treatment and determination to keep production on course for all of our customers. We proudly provide rapid, on-site World-Class repair service by our experienced, German trained engineering and technical support staff. When you call us with a problem, we treat it as an emergency that receives the very highest priority: we expedite repair in order to get your equipment back online ASAP, and then we offer a variety of maintenance programs to keep your equipment operating at peak efficiency 24/7/365. When we rebuild or repair your centrifuge, you can expect it to perform as good as (if not better) than the day it was delivered new. Our goal is to extend the life of your assets and minimize any potential down time. Hard Chrome Solutions offers expert repairs, re-builds, inspections, maintenance, and centrifuge optimization.